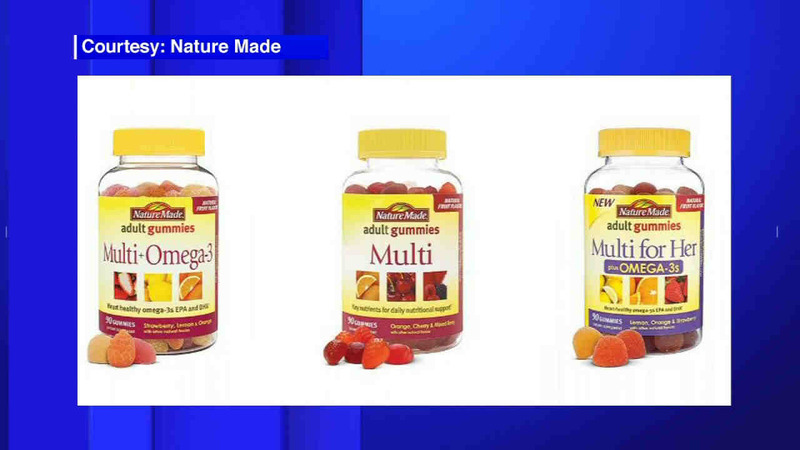 NORTHRIDGE, Calif. (WABC) -- Various Nature Made dietary supplements have been voluntarily recalled because of possible contamination. Pharmavite LLC, which produces the vitamins, said Tuesday it discovered that testing for salmonella and staphylococcus aureus hadn't been completed properly. This is the list of affected products. Pharmavite is working with the Food and Drug Administration to implement the recall. No other products are impacted, the company said. The items were sold nationwide to various major retailers. Pharmavite is advising all retailers and distributors to remove the items from their shelves. The presence of Staph in food can lead to food poisoning.